It was four hectic days at the Gothenburg Fair 25-28 September. 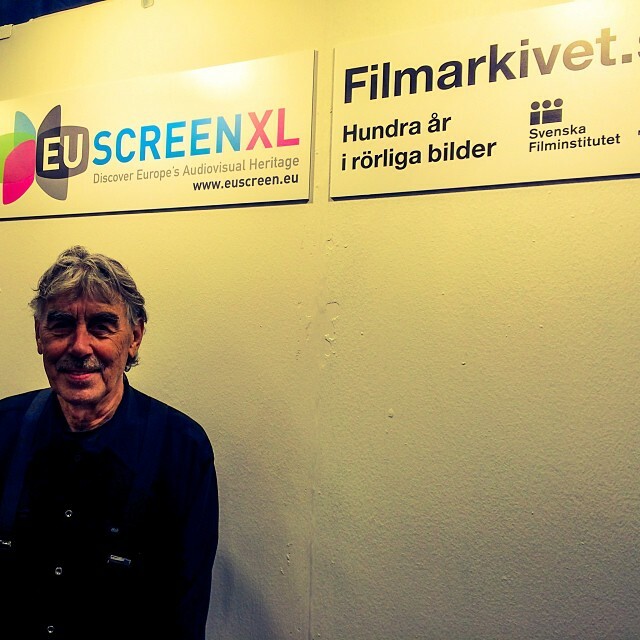 EUscreenXL, through the National Library of Sweden (KB), shared a booth with Swedish Television and Swedish Film Institute. During the four days a constant flow of visitors passed by, testing the EUscreen portal. This year the fair had 97 133 visitors. Visitors to the “EUscreenXL booth” were keen to learn more about the three portals on display, namely euscreen.eu, filmarkivet.se, and Öppet Arkiv (oppetarkiv.se). Reactions were overwhelming regarding the fact that so much audiovisual content was open and easily accessed. Part from the general public especially librarians and teachers expressed how this facilitated their work. Many stayed for a prolonged time submerged in memories as they browsed through old news content and favourite programmes, or just sat down resting their legs in the booth’s relaxing corner. The first day ended with a well-attended reception. The EUscreenXL crew felt that only this first day was more than hoped for but there were three more days to come. The second day started with a seminar hosted by KB dedicated to a panel about new digital expectations and EUscreenXL in particular. The seminar was well visited. The discussion circulated around how EUscreen will meet user expectancies with the launch of the new portal in late October 2014. During the following days the flow of visitors did not ebb out. Talking to users gave valuable feedback on the work of making Europe’s television heritage accessible. Several users during the days expressed a spontaneous and positive reflection that the euscreen.eu site did not have any adds or pop-up windows. Talks with users from different fields of work and experiences also revealed the importance of describing the purpose of a portal like euscreen.eu. Overall the response was very positive and with tiered legs and soar throats the EUscreenXL crew made their way back home.